Happy Monday! 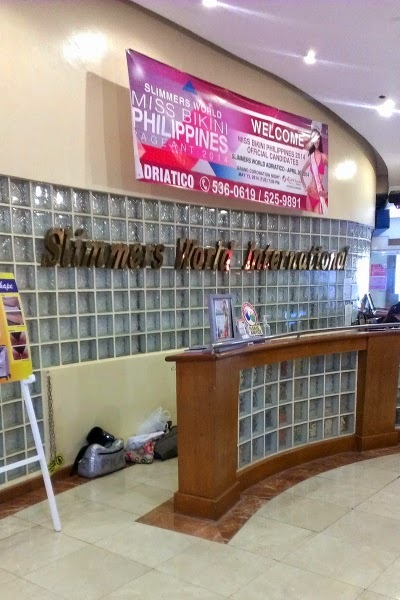 I'm taking domestic flight #2 to Cebu in the morning, but I did manage to take advantage of the use agreement my hotel has with Slimmers World (apparently the gym of Miss Bikini Philippines. Holla.) to get in a great hip hop aerobics class. It was awesome, even though I was the only one who couldn't understand what the instructor was saying, and was definitely the worst at keeping up with his sweet B-Boy moves. Definitely a more fun cardio workout than my normal hotel gym treadmill routine. Since I've been super busy with work in addition to hip hop dance classes, I'm featuring a guest post today from the lovely Caroline at Journey To Wellness. "Hey everyone! I’m thankful that Amanda has given me the space to share with you all today. 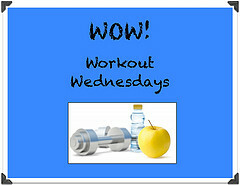 I’m Caroline and I blog at Journey To Wellness. I’m a mental health counselor and pilates and barre instructor, as well as a half marathoner! 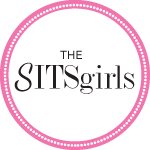 I blog about my training, various mental health topics, balancing a healthy life, and my life with Postural Orthostatic Tachycardia Syndrome. 1. Determine what your most important healthy behaviors are. For example, when something pops up in my life, I still want to get some sort of work out in (even if it’s “just” a bit of stretching), I want my thoughts to stay healthy (I keep this thought record on hand), and I want to eat healthy foods. I try to sleep as much as I can, but I know that sometimes this is a component that we can’t control. Spend a few moments thinking about what some of your “non-negotiable” behaviors might be. 2. Keep meals frozen in the freezer and veggies cut up in your refrigerator. This has saved me countless times. I end up getting held up at work until 8 at night, and by the time I get home what I really want to do is sit on my couch eating chips. However, since I keep veggies cut up and prepped, it’s easy to drip them in hummus and have a convenient snack. Having meals ready to go in the freezer means that in a bad week, I can still eat solid meals with no effort (beyond punching some numbers into the microwave). 3. Avoid catastrophizing words. Words like “terrible”, “horrible”, “miserable” and the like only serve to heighten our stress and anxiety in any given situation. They certainly won’t help the situation at all. Keep words equal to the situation at hand to keep your stress at bay! The more that we practice this in healthy and stress free moments, the easier it will be to use this skill in tense situations. For more info see the entire post I wrote on catastrophizing here. These are a few of the ways that I try to be proactive and plan ahead for the rough moments that pop up in our life. There’s no need to lose all our behaviors in these situations, although it does look a little different. Spending a few minutes to plan now will be well worth it when those moments come! Now it’s your turn to share! What’s one way you try to plan ahead and prepare for the difficult moments in life?" Thanks for sharing these great tips, Caroline! Don't forget to check out Carlonie's blog here and check her out on Twitter and Bloglovin'. Great job on the prep that you did do as you entered this tough time. Good luck getting through! Gotta love that meal prep. Thanks for linking up Deborah! Great pointers! I especially loved the bit about cutting up the veggies in advance. Sometimes all of the prep work takes longer than cooking the meal itself, which can make it discouraging to want to cook after a long day. Great guest post! Glad you liked Caroline's post Alexis! Thanks for stopping by!